Bonnie was born and raised in Iowa and resides in Monroe. Her lifetime career has been waking Des Moines up at 5am hosting the Van & Bonnie In The Morning show on WHO Radio. Bonnie is married to her husband Gene who has recently retired. They share a love for being outdoors and working on their homes landscaping. Gene tackles the large yard work while Bonnie loves to garden. This year, Bonnie and Gene’s home’s roof was pushing 19 years. They began to notice issues on the north side and its curb appeal began to fade. 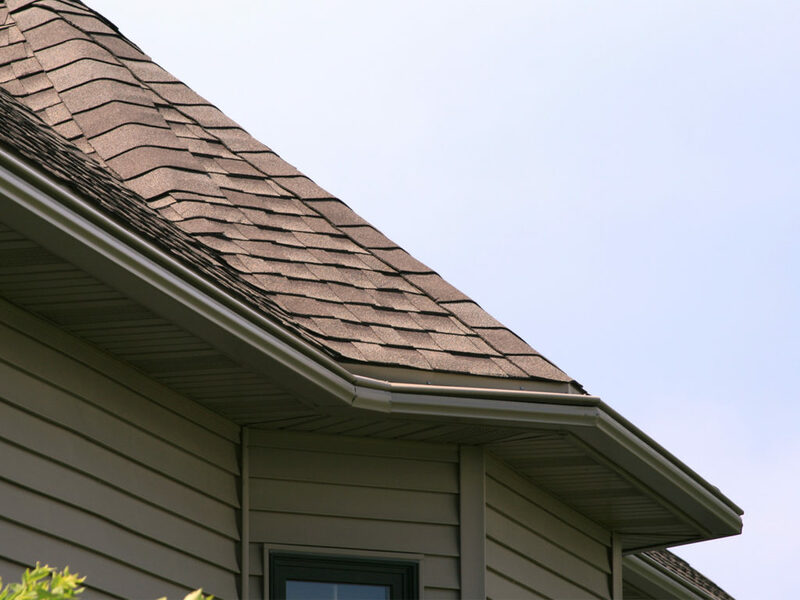 Bonnie knew it was time for a new roof/gutters and wanted to make sure they went with the best products on the market, that’s when they decided to contact us at Home Solutions of Iowa. After all Bonnie has been promoting HSI for 15 years on the radio and her on air partner Van, has had LeafGuard® installed on two of his homes. GAF® Timberline Ultra HD® Weathered Wood Shingles and LeafGuard® Brand Gutters on this Monroe, IA home. 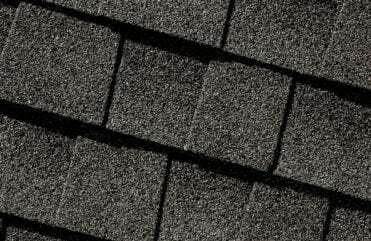 GAF® Timberline Ultra HD® Weathered Wood Shingles. 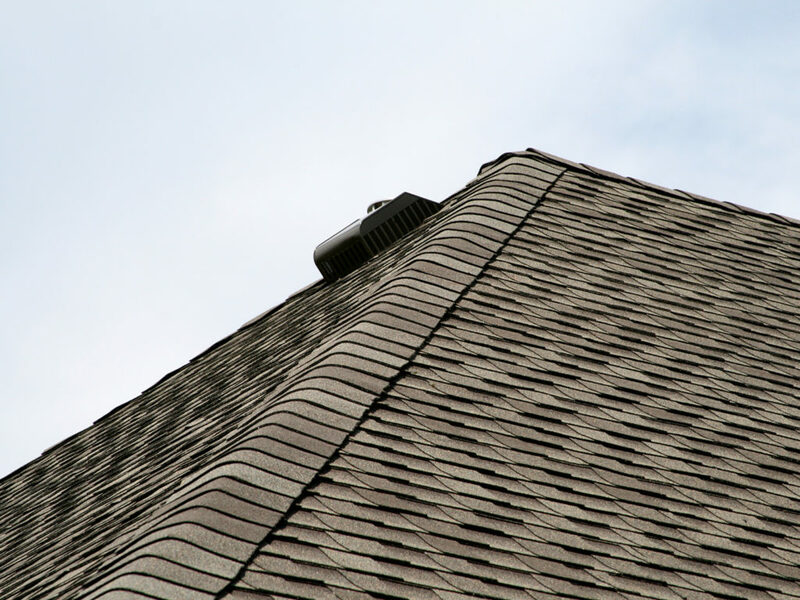 Our ventilation systems can reduce damaging heat and moisture in the attic and decrease the risk of ice dam formation on the roof. We strategically placed 12 box vents; they are low profile and use natural winds and convection to move hot air and moisture out of the attic to protect the roof from premature deterioration. Box vent ventilation removes excess heat and moisture from the home. The final touch to Bonnie’s home was the gutter system. 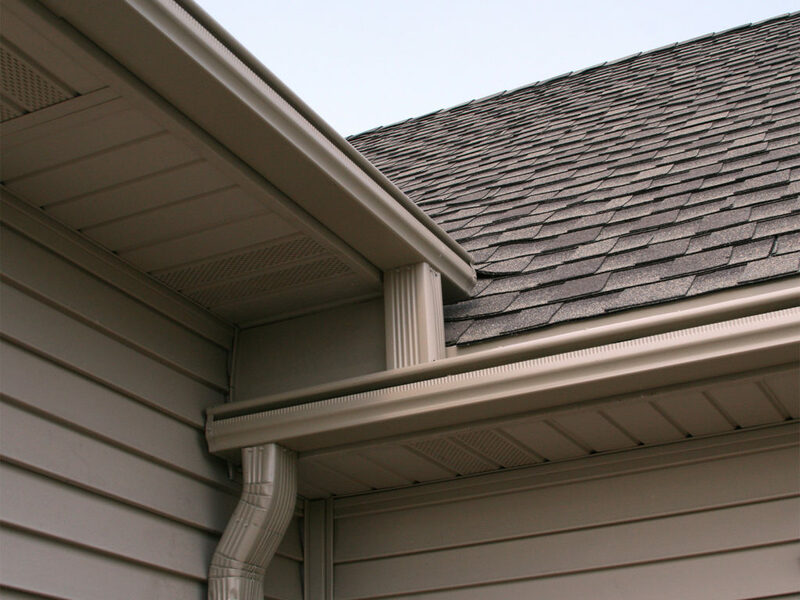 LeafGuard® gutters are stronger and more durable than any other gutter system. The patented design keeps leaves and debris out while protecting her homes roofing, siding, trim, beautiful landscaping and foundation from water damage. 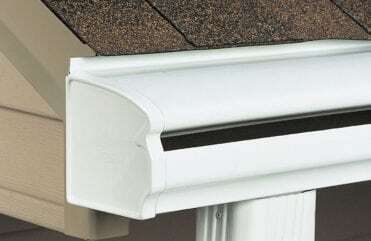 LeafGuard® gutters are clog-free and add instant curb appeal to the home. LeafGuard® Brand Gutters carry water away from the home with a patented, debris shedding design that is better than any other gutter on the market today. My wife liked the installation and from what I saw they did a really good job of cleaning up and explaining the process. - Kim J.
I am already telling others about LeafGuard® and how I had no complaints with LeafGuard®. The installation was great and they look good. I now have to pick up sticks because the gutters aren't catching them anymore. - John B.